*Reel does not include cable. Please call mdi for available cable options. 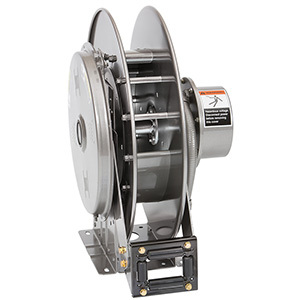 Hannay NSCR700 Series Spring Rewind Reels to handle live electric cord or cable. • Consult mdi for constant tension applications. • 3-conductor, 45 amp, 600 volt collector assembly with #8 gauge wiring. • Double brushes per circuit; brushes are copper graphite with copper alloy rings. • Additional conductors or higher amperage (up to 300 amps) available; consult mdi. • Supplied with 4-way roller assembly; roller position must be specified. • Cable stop should be used. • For vertical lift, stretch and/or crane installation, consult mdi for proper spring specifications. 2. 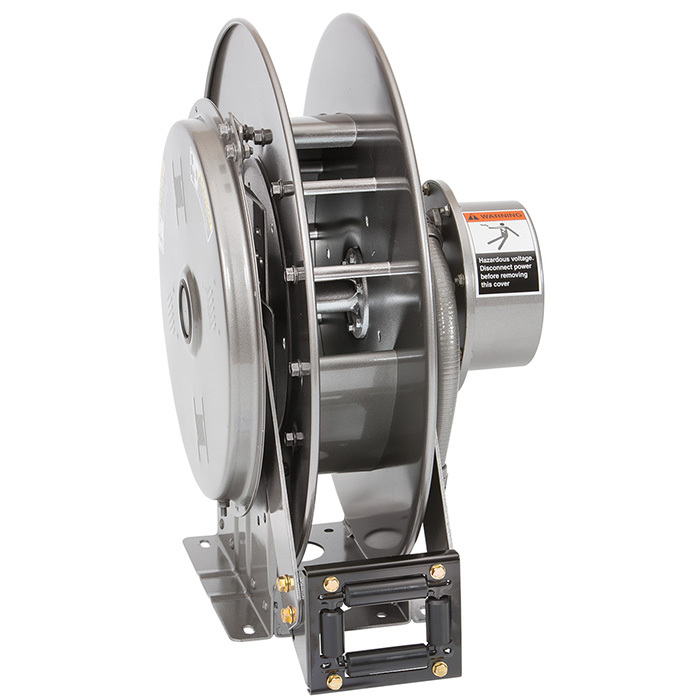 For reels with 4-conductor, 45 amp collector assemblies, add 2" to "F" dimension. 3. 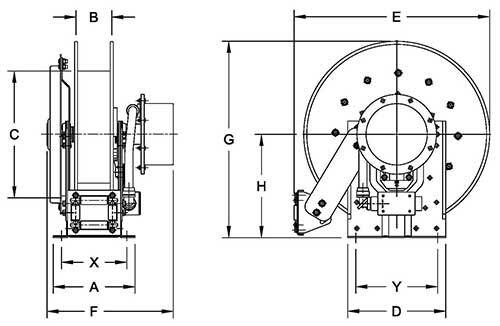 Reel models and capacities shown are for standard drag applications; for vertical lift applications, consult mdi. 4. Other sizes, from standard components, available upon request. 5. Be sure to check dimensions and weights prior to ordering. 6. Roller assembly is supplied on standard models.